We are having a set menu for dinner, this includes 3 courses. 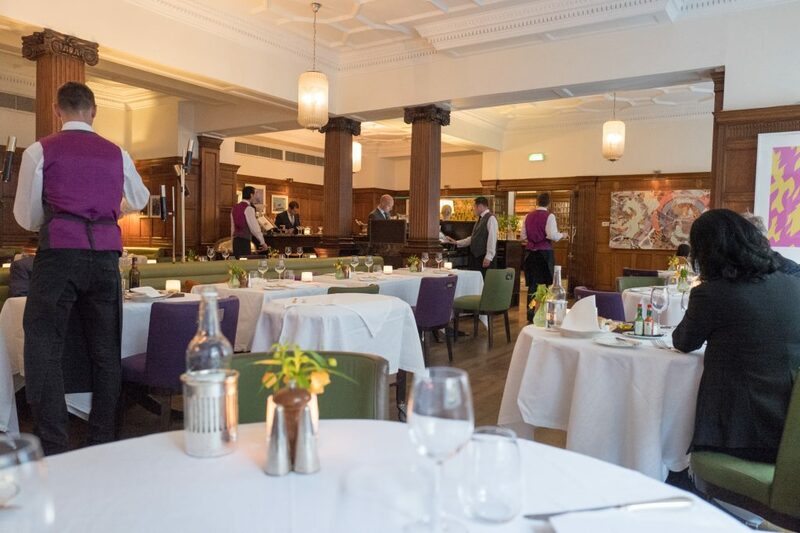 The dining room is elegant, white table clothes, well dressed staff, a formal setting with a informal atmosphere. 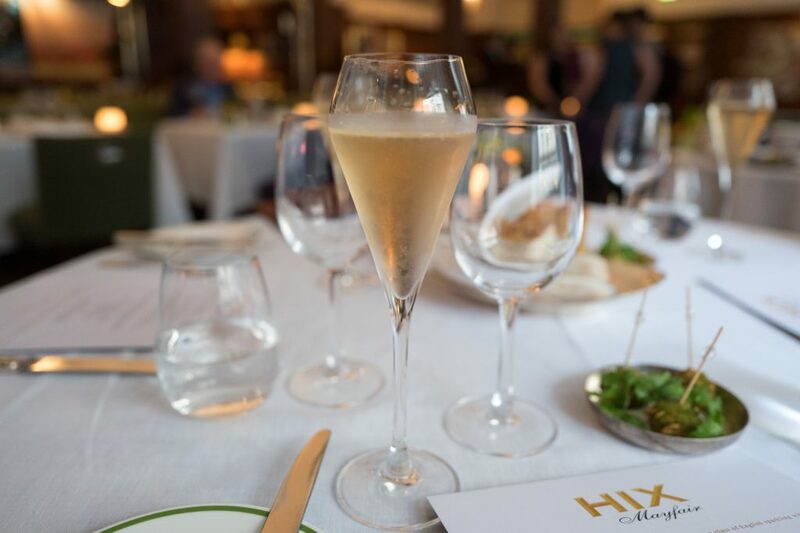 I start with a glass of cold champagne, the best way to start a meal. 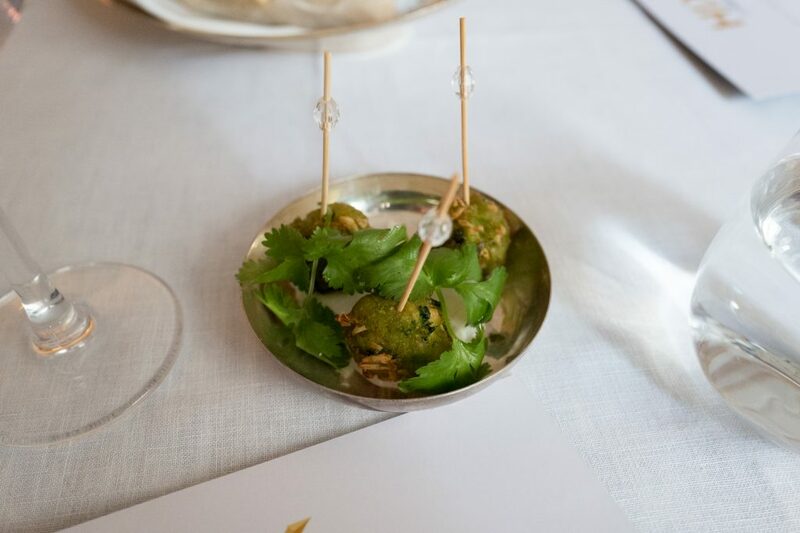 Followed by very tasty vegetarian amuse-bouche. 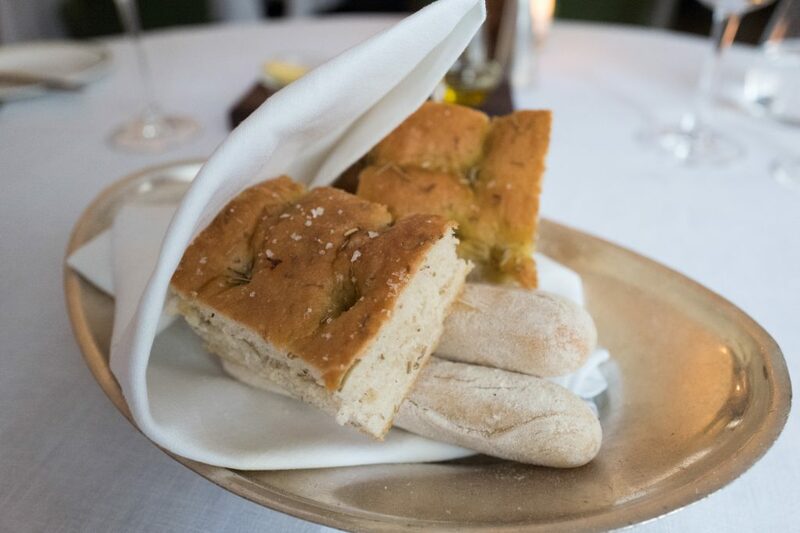 A selection of bread for the table, it was fresh and warm. 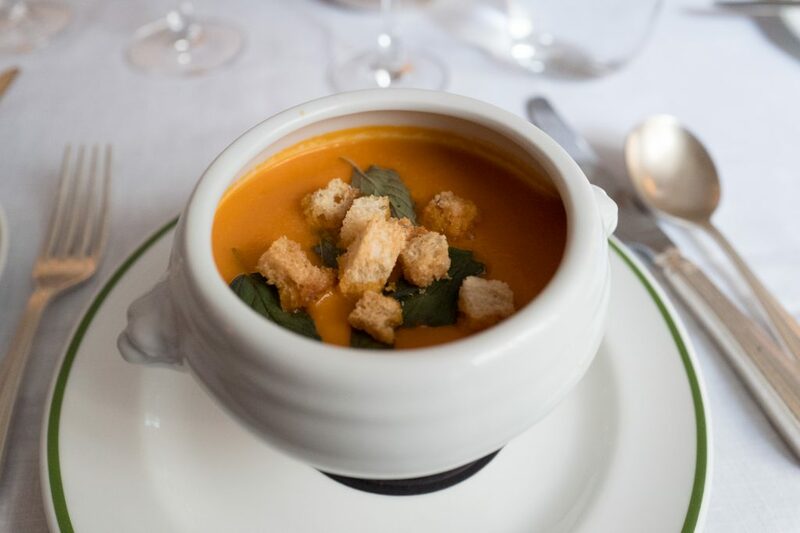 I opt for the tomato soup to start this was very nice, but a odd choice for me. 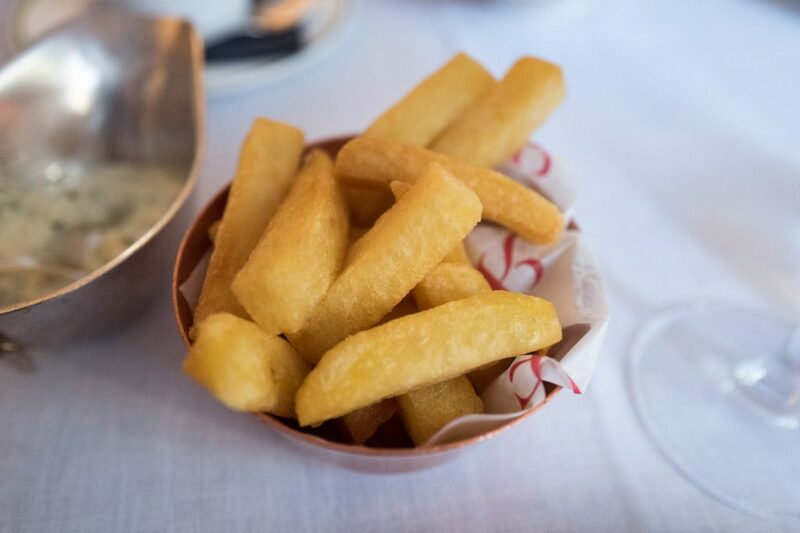 For my main I opt for fish and chips with mushy peas. 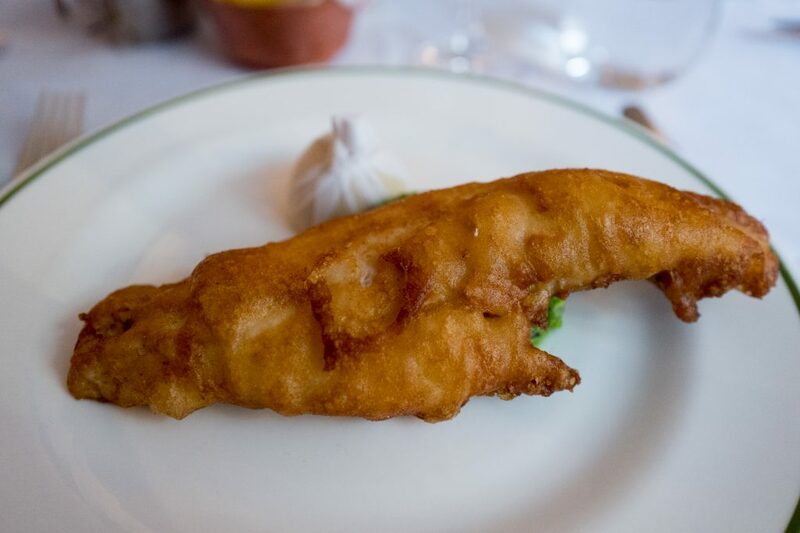 The fish looked excellent, an amazing gold batter and was cooked perfectly. A perfect portion of chips to go with my fish. 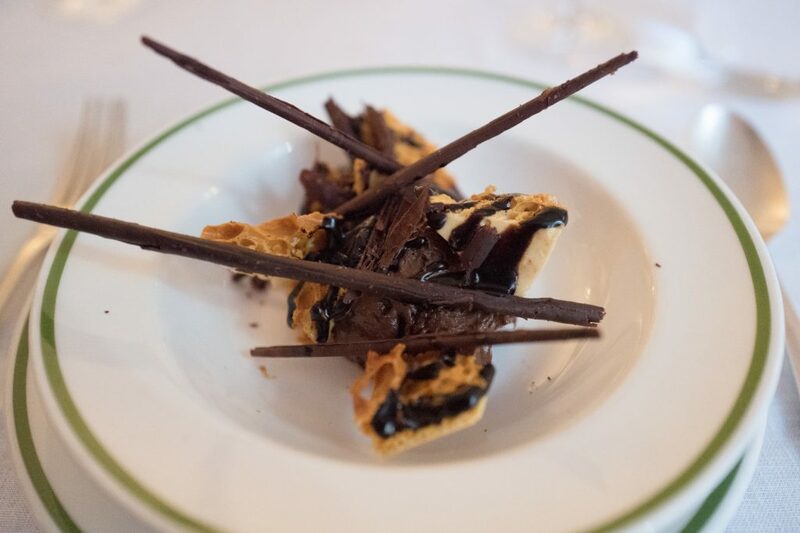 A chocolate and crunchy Carmel desert to complete the meal. 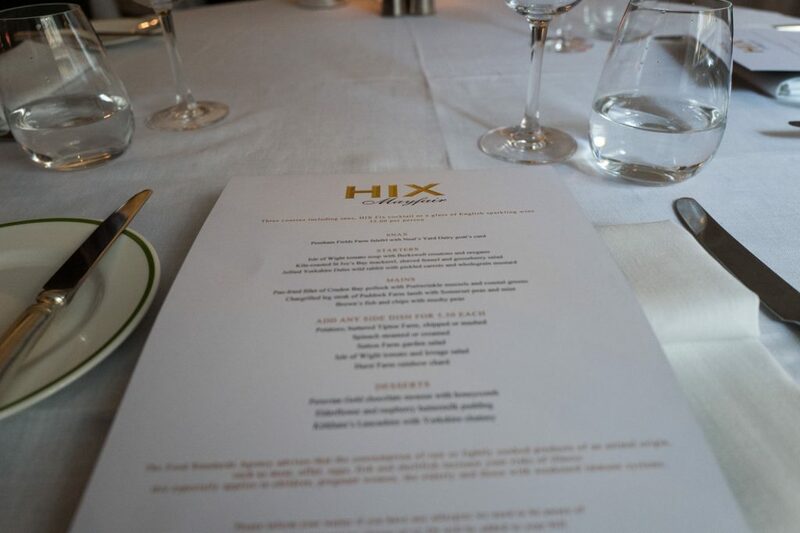 To conclude, I always enjoy my visits to Hix in Mayfair, the food is of good quality, the service is good, the dining room is very welcoming and if you are able to visit and have a set menu the price is very respectable. Highly recommended.